One year ago, along with many of my fellow batch mates in the class of 2014, I went one day without shoes around campus, perceiving that we were doing something good for the world. While I didn’t actually donate any of my shoes to the donation drive, I thought that the entire project was a worthy and noble act that would save the unfortunate communities who had no access to good shoes. One year later, I realised that I was sorely mistaken. What we were doing was not benefitting communities – it was potentially destroying them instead. True, many in these unfortunate parts of the world have a lack of access to good shoes and this creates real problems for the people in that part of the world. However, the excess influx of foreign-made shoes may lead to even bigger problems. While I recognise that while going barefoot may carry great symbolic value and help raise awareness of this issue, we must remember that action speaks louder than words. As much as it alerts people to the problem at hand, going barefoot for a day is not going to create any tangible benefit for the communities in the area. In fact, it may create a culture of “slacktivism” among the participants, as the feel good factor may convince them that they have already made a difference and they need not take any further action. We must guard against this attitude and highlight that while baring one’s soles for a day may be significant, it is not enough – to truly make a difference, a statement must be backed with concrete action. There also exist many detriments to donating shoes to these communities. According to NYU researcher Laura Freschi, there are in fact many local shoemakers within these communities who are part of “vibrant local economies”. These shoemakers attempt to make a living by selling shoes on a small scale. While the shoes they produce are often crude and potentially poor in quality, this is typically a result of a lack of capital and funding with which to produce more efficiently. It is this trade by which these shoemakers earn just enough with which to put food on the table for their families. The influx of foreign-made shoes may hence in fact threaten the local cottage industries in these countries. As many of these shoes are given to the communities for free and are often of a higher quality than locally made shoes, consumers within these communities have no incentive to patronise local shoemakers. When this happens, local shoemakers lose business and find themselves out of a job. Considering the high rate of unemployment within these countries, with the International Labour Organisation estimating Ethiopia’s unemployment rate to be 20.6 -27.2%, it is likely that many of these shoemakers will suffer greatly from the loss of income as there are simply too few jobs to go around. 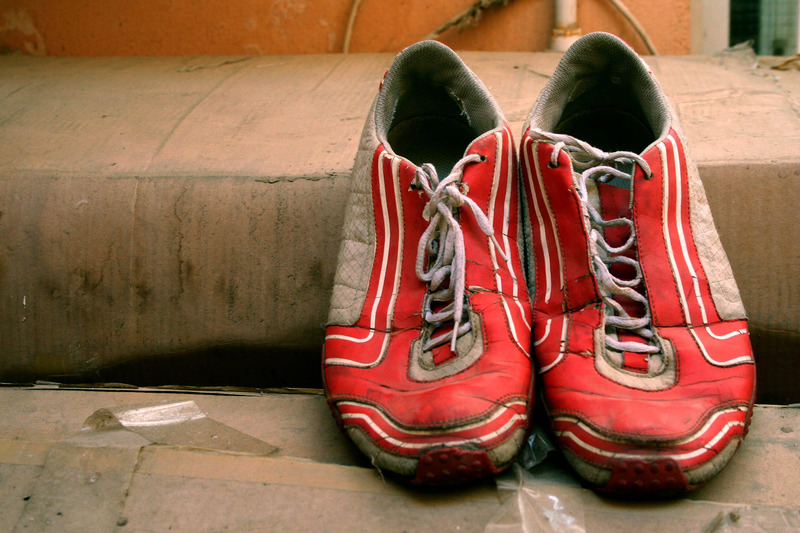 The loss of local shoe production has further detriments for local communities. As the number of local shoemakers steadily decreases, the community grows ever more reliant on free foreign aid for shoes, resulting in a false sense of security. Rather than attempt to develop their local industrial capacity and generate economic growth and development, they may well become over-reliant on foreign aid for their footwear. The only beneficiaries are the large donating companies, who will be able to use such drives to sell their shoes to customers while many local communities lose the motivation to produce better goods. This not only makes communities all the more dependent on foreign help, but promotes economic stagnation as a result of a loss of economic activity, resulting in these communities becoming more and more stuck in the cycle of poverty. What we should do instead is try to improve the local industries and human capital within these regions by donating to causes that seek to make communities economically viable. By improving the productivity and skills of the local labour force as well as exposing them to new forms of capital and techniques, we can not only promote economic growth but also improve access to shoes as they become cheaper to produce and better in quality. It also serves to not only preserve the jobs of the local workers but in fact make them more prosperous, as with shoemakers making more money, they will be able to hire more workers and spend more money, triggering the multiplier effect we are all familiar with from H2 Economics. All this can be done with minimal dependence on foreign aid as all that are needed are experts and volunteers to guide the local populace. In fact, merely taking a holiday in such areas may be more beneficial to such underprivileged communities as it at least creates jobs and economic growth by stimulating the tourism industry in those areas. So this year, while I certainly will take interest in the plight of the barefoot in these countries, make a donation to an international development NGO, I will not be donating of my shoes to the donation drive. And while we stand in solidarity with the barefoot poor in some of the most poverty-stricken areas of the world, let us remember the latin proverb acta non verba – deeds not word. Let us realise that if we truly desire to make a difference, shedding our footwear marks not the end of guilt but the beginning of real action. The writer clearly does not understand the purpose of NSD and how the donated shoes will help the local community. They are not meant to be worn by the beneficiaries but sold so they can pool money to begin their own businesses. Priority goes to mothers in greater need e.g. with a sick child, and the project has well-helped many struggling families back onto their feet.